Our first braai of the holiday, this one to celebrate New Year’s Day and made with fish that we picked up on the way back from a visit to the Waterfront. 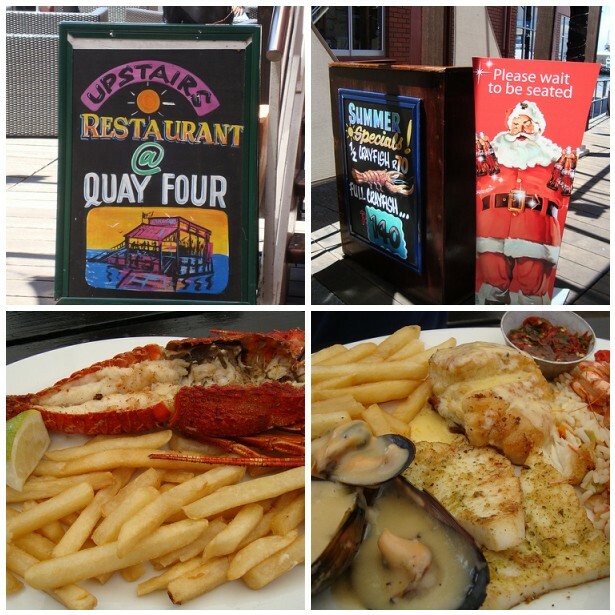 We’d actually already eaten two big plates of fish for lunch at Quay Four but there’s something about the warm weather that makes fish so appealing. It helps that fish is so fresh and plentiful in SA too. And much cheaper than here in the UK too. The shrimp were cooked simply and then drowned in garlic butter and the angelfish was grilled with lemon, garlic and thyme. 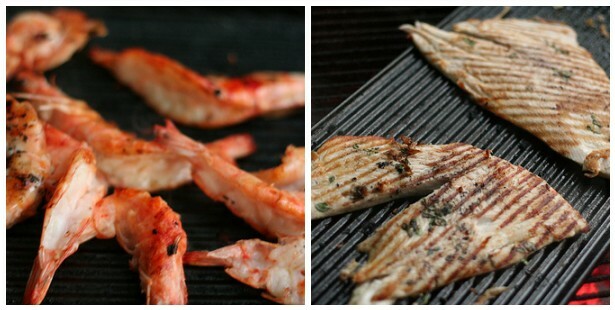 Angelfish has a meaty texture, a little like swordfish and works brilliantly on the barbecue since it remains firm and doesn’t fall apart. While it doesn’t have a hugely strong flavour, it certainly stood up to the marinade and the smoke.